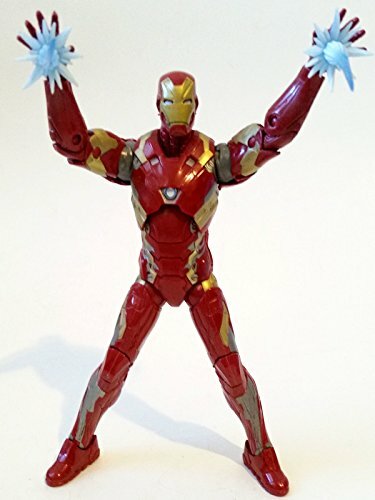 This is a Marvel Legends 6" Inch IRON MAN mark 46 (Civil War movie armor). Made by Hasbro (part of the Movie Giant Man build a figure BAF series). This is a fantastic interpretation of the armor worn by Iron Man in the movie. The use of effects parts really helps this action figure stand out. If you like movie figures I'd highly recommended it.